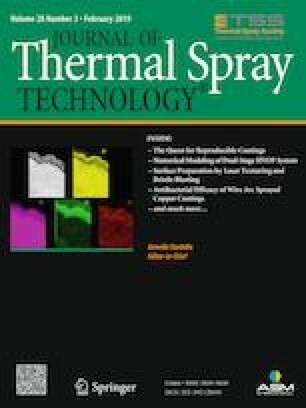 A comprehensive study of densification behavior, microstructural features, microhardness and wear properties of the CoCrAlSiY/YSZ composite coatings fabricated under laser direct deposition (LDD) is presented. The relationship of the laser energy density, microstructures and material properties has been built. Due to the presence of a balling phenomenon at a low laser energy density input, the relative density of the formed materials was low. As the laser energy density was increased to 200 kJ/m, a near-complete densification sample was yielded. At the same time, with the increase of the laser energy density, the microstructure of LDD-prepared CoCrAlSiY/YSZ composites went from cluster crystals to columnar crystals, to slender and uniformly distributed columnar crystals, and finally to the shape of coarsened columnar crystals. The results of the sliding wear tests indicated that the CoCrAlSiY/YSZ composites prepared by a 200-kJ/m energy density laser had the most uniform microhardness distribution with a mean value of 657 HV0.2, the smallest friction coefficient of 0.4 and the lowest wear rate of 2.83 × 10−4 mm3/Nm, which resulted from the finest microstructure of the material prepared by this laser. This work was supported by United National Science Funds and Civil Aviation Funds (No. U1633104), Tianjin Science Funds for the Special of Science & Technology (No. 17JCTPJC51800) and Open Funds of the State Key Lab of Digital Manufacturing Equipment & Technology (No. DMETKF2017018). It is also supported in part by the Research Starting Funds of Civil Aviation University of China (No. 09QD05S) and Important Projects of Ministry (2013ZX04001071).